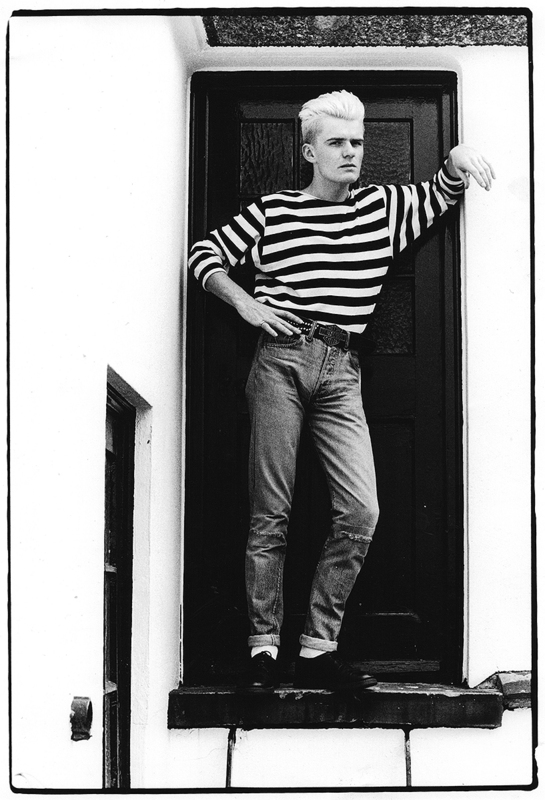 "This was shot for UK music magazine Melody Maker by Andrew Catlin in a nice area of London and not where I lived then... that's for sure! The look was typical of my attempt to do a sort of biker vibe... the long sleeve "matelot" t-shirt from Johnsons on King's Road (where I used to work), the Harley Davidson belt, tapered Levis and my Doc Marten shoes which I loved. Looking back it has more of a "fashion" shoot feel that a rock n roll one even if it was for the Melody Maker. I can't believe how skinny I look... I guess it's from the era between 'Dreamtime' and 'Love'."